Jim Tedford accepted his dream job when he joined The Association as President & CEO in June of 2015. But Jim is no stranger to the organization. He has been a member for nearly 30 years and served as our Board Chairman some twenty years ago. Jim has been actively engaged in the animal welfare movement for more than 34 years having served as CEO for animal sheltering organizations in New York, Louisiana and Tennessee. He served as a regional director for The Humane Society of the United States and then spent six years providing direct response marketing services to animal welfare organizations. 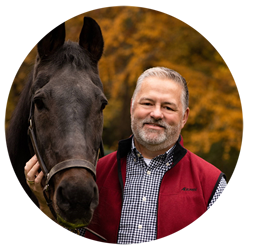 Jim presents frequently at national and regional conferences on various animal welfare issues, organizational development and not-for-profit management. Jim and his wife Ann operate an unofficial convalescent home for aging animals including three Labrador retrievers (all over the age of 13), a 28-year-old quarter horse and an immortal macaw. Avid lovers of the outdoors, Jim and Ann spend as much time as possible on the hiking trails or camping in their Casita (fiberglass “egg”), often accompanied by Henry Bergh Tedford, their six-year old Jack Russell (adopted from the Asheville (NC) Humane Society). Jeannie joined the team in 2009 with a background in association management (in brain and spinal cord injury) experience as well as hotel expertise with Westin and Four Seasons. 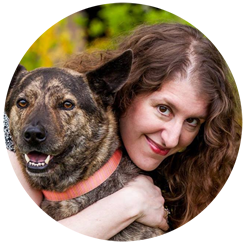 In addition to membership and conferences, Jeannie staffs efforts on Best Practices development and OnPOINT for Animal Welfare Advancement. She has a bachelors degree in public health microbiology, lives just outside Phoenix with husband, Bill and terrier, Archey. Their only child is married and lives on the other coast (in DC), so their grandaughter (and perhaps more in the future) and two lab mix four legged granddogs live a LONG ways away. Tom has been an advertising and marketing communication leader for close to thirty years. An internationally recognized creative talent, Tom has garnered awards from the Cannes Film Festival, The Emmy Awards, The Clio Awards and several other national and international organizations. As a business leader, Tom has held executive management positions with Hallmark Cards, Sprint and General Electric. For nearly a decade, Tom was President and Chief Marketing Officer at Callahan Creek, an advertising and marketing agency. Callahan Creek was voted Best Place to Work in the Greater Kansas City market and opened offices in Los Angeles in addition to the Lawrence, Kansas headquarters. Most recently, Tom also founded The Companion Channel, a cloud-based digital screen media solution that provides a rich media experience in animal shelters and clinics. Valerie Sheppard has spent more than 16 years helping professionalize animal welfare staff, first as the head of HSUS' Humane Society University and then leading the ASPCA's elearning and webinar program. She has a Bachelors degree in Theatre from Smith College and a Masters in Career Counseling from Johns Hopkins University. After-hours, Valerie relaxes with her teen-aged son, two herding dogs, a turtle and a gaggle of fish. She kayaks and is learning, very slowly, how to ski. With a background in product management and a degree in information technology, Kelly brings a wide range of knowledge and experience to The Association while working for such companies as Disney, Dell, Sprinklr and YourMembership. Because of her varied background and willingness to take on any challenge, she has an expansive list of responsibilities at The Association. 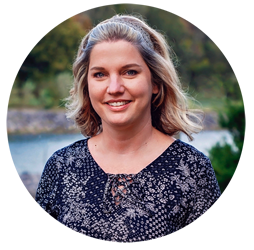 Kelly is in charge of web development (including the launch of the new website and mobile app for the conferences), conference planning, technical documentation, sponsor logistics, and much more. Susannah Poe has worked for The Association since November 2015, but has been an Administrative Assistant for over 12 years. Prior to her Administrative Assistant career, she was an Account Manager for Coca-Cola Enterprises which gave her a wealth of knowledge in customer service and just enough computer skills (and caffeine) to make her dangerous. She then changed paths and became a realtor in order to help her father only to quickly realize that she was not cut out for sales; however, it led her to pursue a career as an Administrative Assistant in a real estate office which was a much nicer fit. She enjoys helping people, and that is what she does for The Association. She also loves animals, so knowing that what she is doing contributes to making a difference in the world of animal welfare is the icing on the cake. Susannah treasures spending time with her husband, Kerry, and son, Oliver. Together, they enjoy camping, hiking, and playing outdoors with their three dogs: two of which (both terrier mixes) were given to them by neighbors that could no longer care for them, and the other (their giant, goofy Rottweiler/Labrador mix) was found at their local humane society.